Some cinephiles would say it’s “the most wonderful time of the year.” The fall movie festival season begun a few weeks ago with Venice, Telluride, and Toronto unveiling their star-studded and Oscar-baiting films, but there are still a few more festivals in the hopper (a la San Sebastian, New York and London film festivals) showcasing more films than you can shake a stick at. The behemoth right smack in the middle of those other prestigious and Oscar attention grabbing festivals is the mother of all genre festivals in the U.S. in Austin, TX, Fantastic Fest. With the 14th annual fest launching Thursday, September 20 and running through Thursday, September 28 there is no doubt, the festival will be kicking the doors down at the flagship site, Alamo Drafthouse South Lamar. The fest kicked-off with the U.S. premiere of director David Gordon Green’s reimagining of John Carpenter’s classic, Halloween, with one of the original scream queens in horror history, Jamie Lee Curtis in attendance. The film was followed by a themed party titled, “Halloween Costume Slashbash” with a special performance by NILBOG, the world’s foremost horror theme rock band. 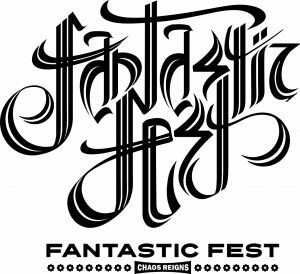 While attending Fantastic Fest can be exhilarating and punishing (just like many of the films) there are plenty of events, parties, panels and live-podcasts like comedian Doug Benson’s “Doug Loves Movies” Podcast and “Switchblade Sisters Podcast.” There’s also Mondo card game nights feature Fight Club and The Thing and for the love of god, Karaoke. Lots and lots of (drunk) karaoke in one of the many themed karaoke rooms next door above the Highball. And if that was not enough, film critic and historian Leonard Maltin also attends and with his daughter Jessica as they host Maltin on Movies featuring interviews with special guests throughout the week. And while many of the attendees enjoy every ounce of the festival, it also helps to wash your hands, cover your mouth when you cough, drink plenty of fluids (or beer, soda, water, whiskey…your choice). In other words, the basic elements of preventing yourself from developing the “fantastic flu” and ruining your weeklong battling the masses and unforeseen airborne sickness viruses. There have been numerous instances, where coughing, sneezing and drool have come into my path while attending, and it has not been pretty, but fighting against the elements comes with the territory of some attendees watching 12-14 hours of films a day every day for an entire week. Count me as someone taking the “it’s not a race, it’s a marathon” approach and easing my way into the festival instead of going full bore once the festival kicks off. So the question is now, what are we looking forward to seeing? Plenty. There is also some titles we have already seen at other festivals throughout the year (Sundance, Berlin, Cannes and Hot Docs) including music director ’s bloody and ultraviolet, Lords of Chaos, based on the beginnings of Black Metal in Norway starring an excellent Rory Culkin; Polish writer/director Agieszka Smoczynska’s follow-up to her kooky mermaid horror flick, The Lure, is back with an excellent bleak and hypnotic missing identity case, Fugue; writer/director Jim Hoskins’ The Greasy Strangler was one of the delights at Fantastic Fest in 2016 but he falls a bit short with his latest “whatsits” An Evening with Beverly Luff Linn. The film does feature the awesome pairing of Aubrey Plaza and Jemaine Clement (FX’s, Legion) and Emilie Hirsch’s character “Shane Danger” is one of the funniest performance in 2018; Writer/director A.T. White’s Starfish will surely be one of the most talked films during the week as it makes its world premiere Friday, September 21. Number one with a bullet has got to be writer/director David Robert Mitchell’s follow-up to Fantastic Fest fave, It Follows in his much ballyhooed Under the Silver Lake, which received mixed reviews during its Cannes competition berth in May. That, along with its release date shift from June 22 to December 9, does have signs of a disappointment. However, its L.A. neo-noir storyline has the makings of a successful additional to the off-beat Raymond Chandler riff. Director Karyn Kusama’s The Invitation was a pleasant surprise in 2015 and she returns with Destroyer, another L.A. neo-noir riff featuring an unrecognizable Nicole Kidman as an L.A. detective revisiting an old case with past demons. Startling new revelations abound when reconnecting with a former colleague. No stranger to controversial films, French based Argentine filmmaker Gaspar Noé is receiving some of the best reviews of his career with his latest horror musical, Climax. The film looks to be one of the sure bets of Fantastic Fest, centering around a dance troupe’s party that turns into wild night after their sangria drinks have been spiked. Also no stranger to Fantastic Fest, director Jeremy Saulnier (Blue Ruin, Green Room) returns with the soon to be released Netflix original, Hold the Dark, based on William Giraldi’s 2014 novel. This time the screenplay was written by Saulnier regular, Macon Blair, and stars Jeffrey Wright, Alexander Skarsgard, and Riley Keough is a psychological thriller taking place in the Alaskan wilderness. Fantastic Fest fave writer/director S. Craig Zahler’s (Bone Tomahawk, Brawl in Cell Block 99), Dragged Across Concrete starring Mel Gibson and Vince Vaughn is a likely candidate. Then again so could Luca Guadagnino’s remake to Dario Argento Italian giallo classic, Suspiria. Or, what about the recent a24 pickup of Claire Denis’ American debut, High Life, an outer space mystery starring Robert Pattinson? Or perhaps, it could be Australian director Jennifer Kent’s period piece, The Nightingale, after her wonderfully creepy The Babadook. Or, a bigger curveball might be Steve McQueen’s crime thriller, Widows, starring Viola Davis, Liam Neeson, Daniel Kaluuya, Colin Farrell and Robert Duvall and co-writer by Gone Girl and Sharp Objects author, Gillian Flynn. In any case, it will be a secret unleashed soon enough as chaos will reign, once again.